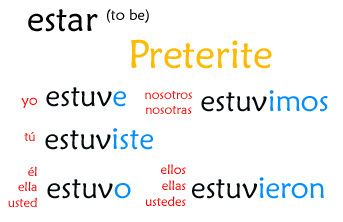 Can we also use the preterite form of estar in the past progressive tense? Do you have to use the preterit if you are quoting someone ? Por ejemplo. I called Juan yesterday and he said Rosa is not here. Do I use the exact words Juan said ,or do I say Rosa no estuvo aqui? Or do I say estaba because I don’t know how long Rosa has been away even though i am only interested in knowing if she is at home at the very moment I called?